La maison di Alexander McQueen ha realizzato una capsule collection di foulard, che prende il nome di "Savage Beauty" e che ripropone motivi e simboli tipici del marchio. Questa edizione limitata, di cui fa parte anche questo foulard in color glicine, sarà disponibile negli store a partire dal 5 Maggio 2011 e i cui prezzi saranno un più elevati rispetto ai classici del brand. 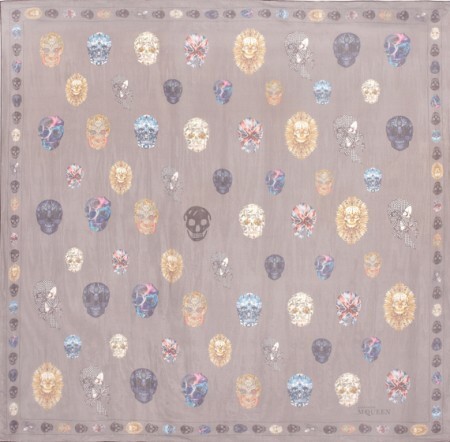 The house of Alexander McQueen has created a capsule collection of scarves, which is called "Savage Beauty" and repeats motifs and symbols typical of the brand. This limited edition, which is also part of this scarf in lavender color, will be available in stores since May 5, 2011, and whose prices will be higher than the classical brand. 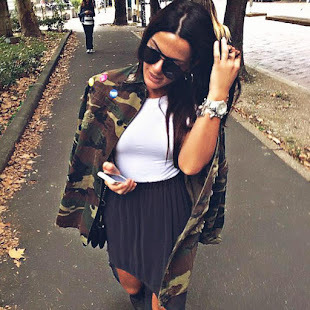 sembra carina come capsule collection!